We are the largest private education group in South China operating premium primary and secondary schools, as measured by student enrolment as of 1 September 2015, according to the Frost & Sullivan Report. Our educational objectives are "to serve the society with honesty and integrity through our services" and "to cultivate talents with a warm and loving heart". As of 1 September 2016, we operated six premium private schools with a total student enrolment of 31,788 students. For each of the 2013/2014, 2014/2015 and 2015/2016 school years, nearly 95% of our high school graduates were admitted to universities in China. Weifang Guangzheng Preparatory School commenced operations in September 2016 in Weifang, Shandong province. We have entered into cooperation agreements with the local government of Guang'an, Sichuan province and the local government of Yunfu, Guangdong province, respectively, to establish a new school in each of these cities. In addition to PRC educational programmes, we provide international programmes for the high school students, as well as a wide-range of school-based elective courses, including courses for sports, art, music and Chinese culture. 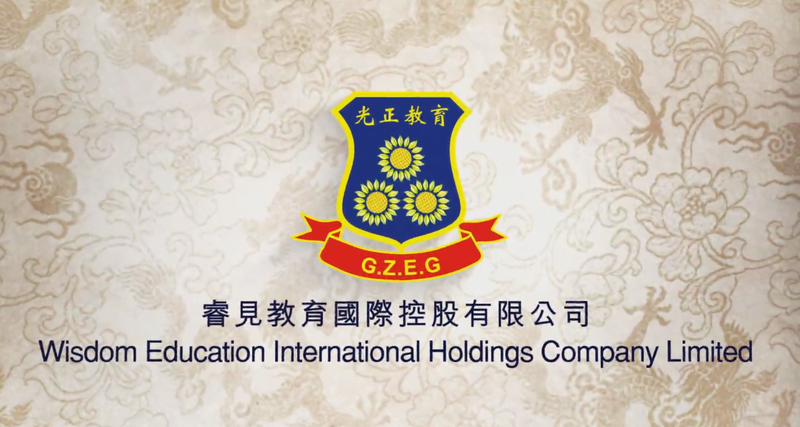 The Group received "Top 100 Education and Research Institution for Primary and Secondary Education in China" awarded by National Association of Primary and Secondary Education in 2013 and "Outstanding Private School in Dongguan" awarded by Dongguan Private Education Association in 2014. In September 2015, our Dongguan Guangming School high school male basketball team was invited to attend the prestigious Iolani Classic Basketball Tournament held in Honolulu, Hawaii.